Leis an mbothar fada a dheanamh gearr: sé Busnestor an ceann is fearr. Comfort, style, convenience and economy are the hallmarks of travelling with Busnestor. Whether you are traveling to the excitement of Dublin or escaping for a holiday in the west of Ireland, travel in comfort the Nestor way. Operating seven days a week, Busnestor’s travel offers the quickest, most comfortable means to arrive at your destination refreshed. 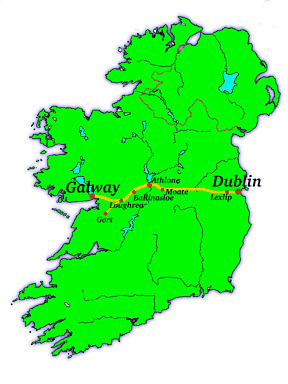 Tourists will find Busnestor’s buses most reliable and economical to travel Galway - Dublin or as a means to explore the midlands. Stop off at Moate or Athlone and continue your journey later, or simply relax and enjoy the scenery from the comfort of your luxury reclining seat. BUSNESTOR Turloughmore, Athenry Co. Galway, Ireland.